Fragrant pears (California Grown) and walnuts make a very delicious combination. 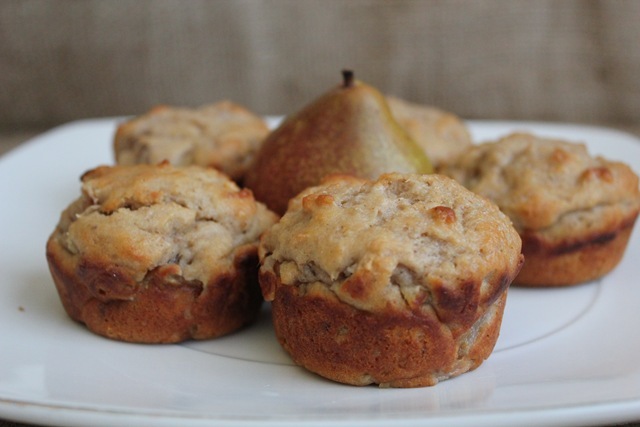 I loved the soft and chunky pears in the muffins. 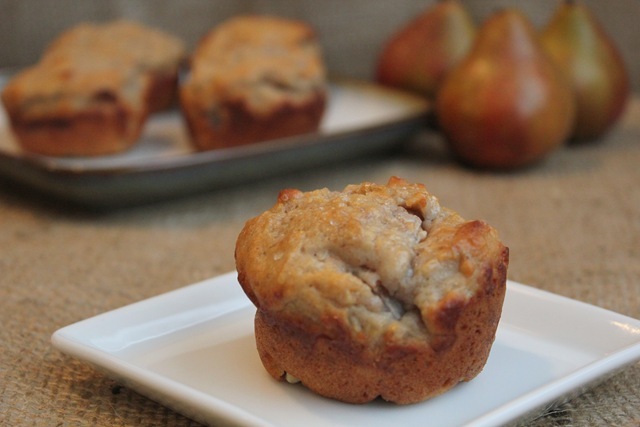 They are mildly sweet, perfect for breakfast or afternoon snack with tea. 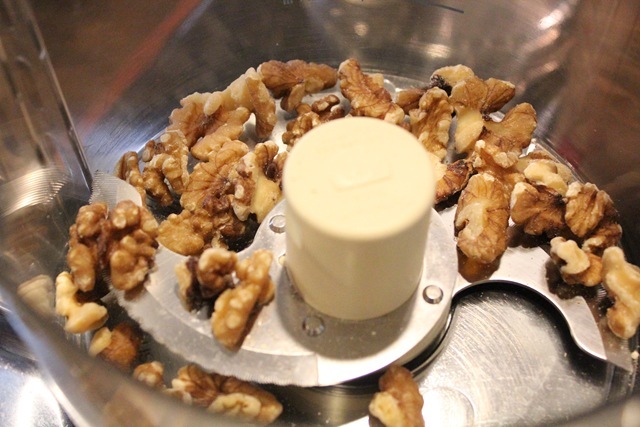 Something new that I’ve not done before in recipes, use walnuts…. …. 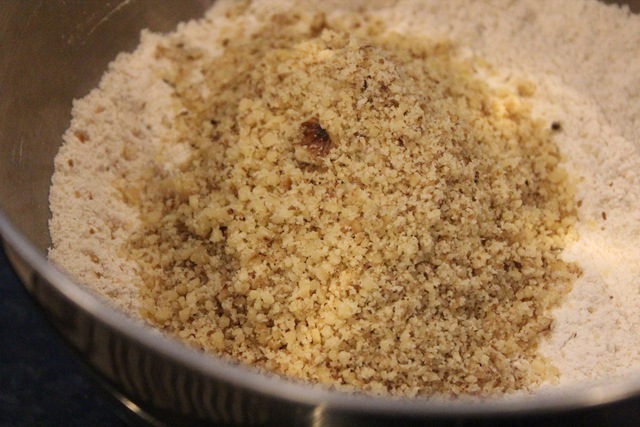 and grind them up before adding it with the dry ingredients. 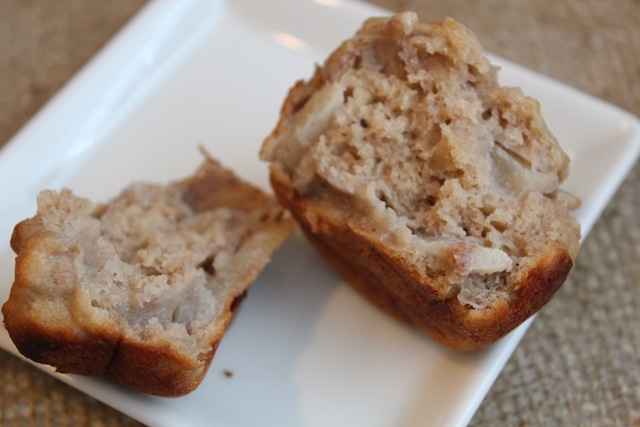 This lends to a hearty and nutty taste in the muffins. 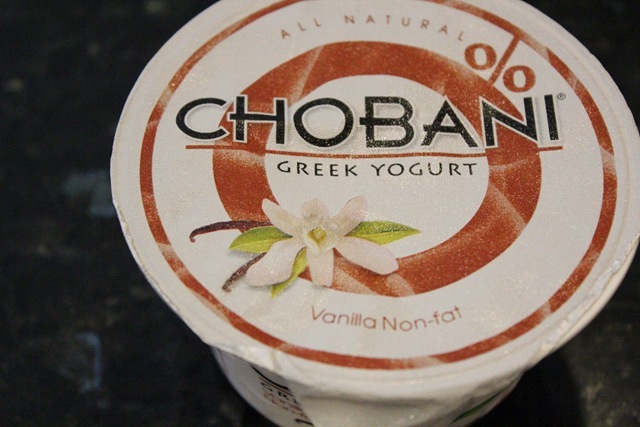 Also included in the recipe, a whole container of vanilla greek yogurt that makes the muffins very moist and some additional protein in the muffins. 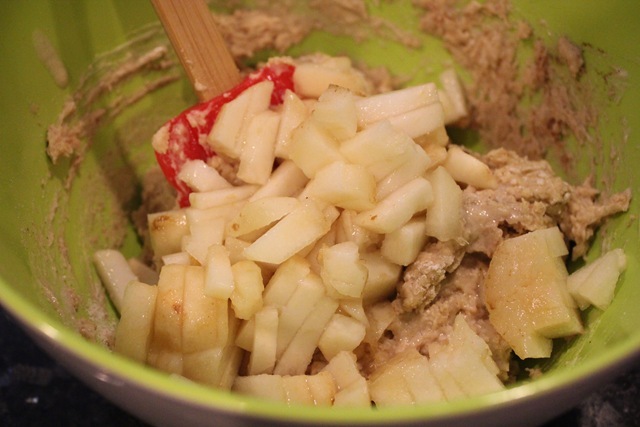 Instead of dicing the pears finely, I chopped them up in big chunks because I wanted the chunky texture. You’ll get the brown crust on the outside if you bake them without paper liners. 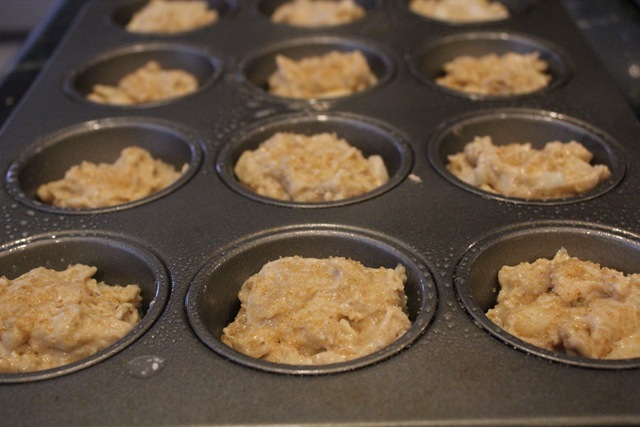 Spoon batter into 12 muffin cups coated with cooking spray; sprinkle batter with turbinado sugar. – Next time I will use all whole wheat flour (I use King Arthur’s premium whole wheat flour and it bakes similar to white flour). 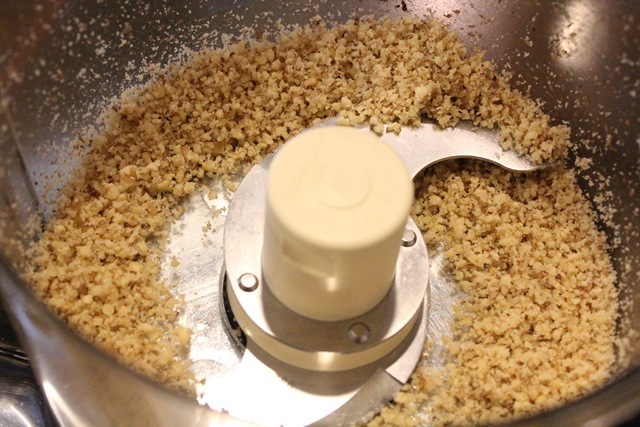 Mix-in additional walnut chunks to add texture. If using very ripe pears, use less sugar. 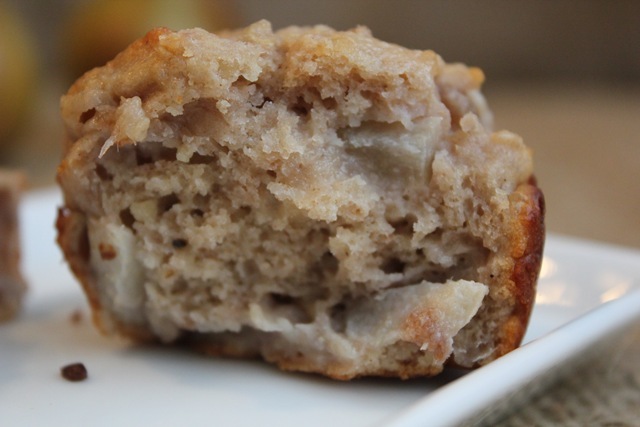 I have been eating these muffins for breakfast with a side of scramble eggs. Mmm. For thanksgiving I made a really good pear and chocolate cake. I had never baked with pear before and I really liked it. I love the addiction of turbinado sugar on top! 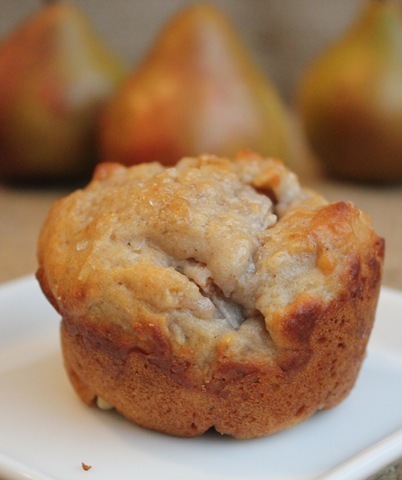 I love pears but I have never tried pears and walnuts muffins before. It looks incredible and so moist! I added toasted coconut and one more egg. 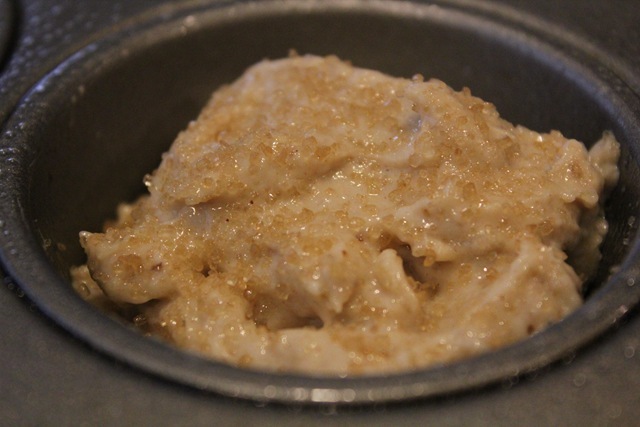 I used coconut flour instead of whole wheat.